Now get ready to decorate. 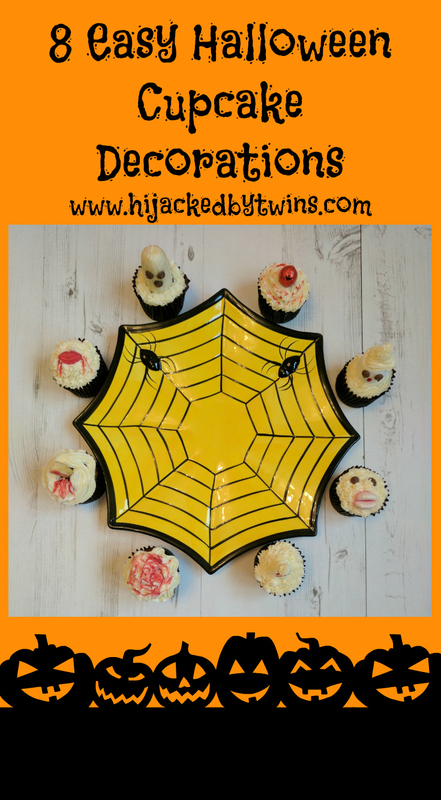 I am going to tell you how to make 8 quick, easy and effective ways to decorate your Halloween cupcakes! 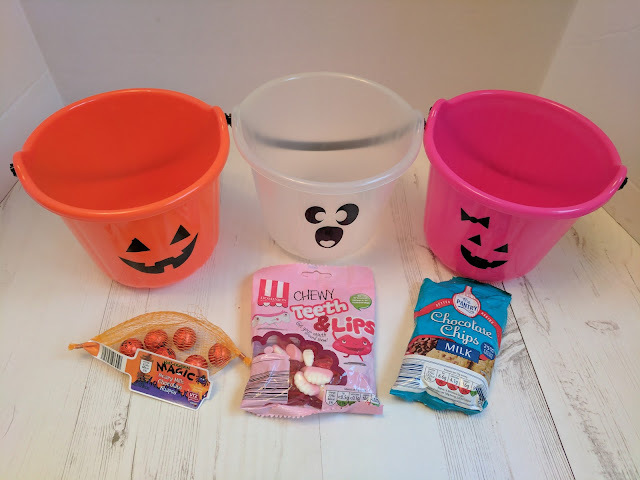 1 - This is the first of three easy ghost toppers and a healthier one. Scoop out a hole in the top of the cupcake, cut a banana into three and place one of the ends in the cupcake. Ice with the butter cream around the edges and push chocolate chips into the banana for the eyes and mouth. 2 - This one was the kids favourite! Ice the top of the cupcake completely. Sit a large marshmallow on the top, stick two chocolate chips onto the marshmallow using royal icing and draw a mouth using a cocktail stick dipped in red food colouring. Finally ice a swirl on the top of the marshmallow. 3 - If you do not have any bananas or marshmallows don't worry! You can still make a ghost by piping a butter cream ghost. Using a cocktail stick dipped in red food colouring you can draw on some eyes and a mouth. 4 - In Aldi I found a bag of gummy teeth and lips which make great toppers. 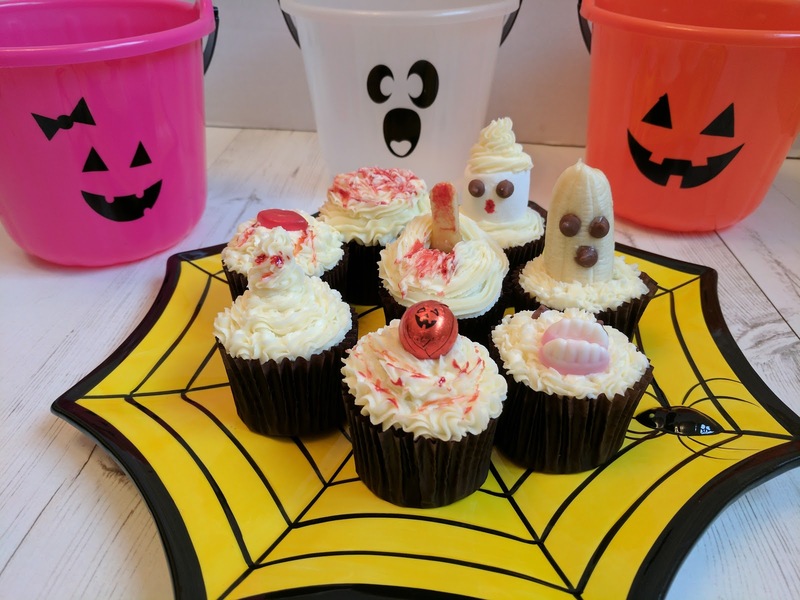 Ice the cupcake with the butter cream, add two chocolate chips for eyes and two sets of teeth. 5 - Using a piece of banana cut a finger shape. Ice the top of the cupcake, stick in the banana finger and using a cocktail stick dipped in red food colouring draw on a nail and finish with dripping blood at the end. 6 - To create a bloody cupcake simply ice the top and scrawl over red food colouring using a cocktail stick. 7 - Aldi have had some lovely little chocolate balls wrapped in orange foil with a pumpkin face. 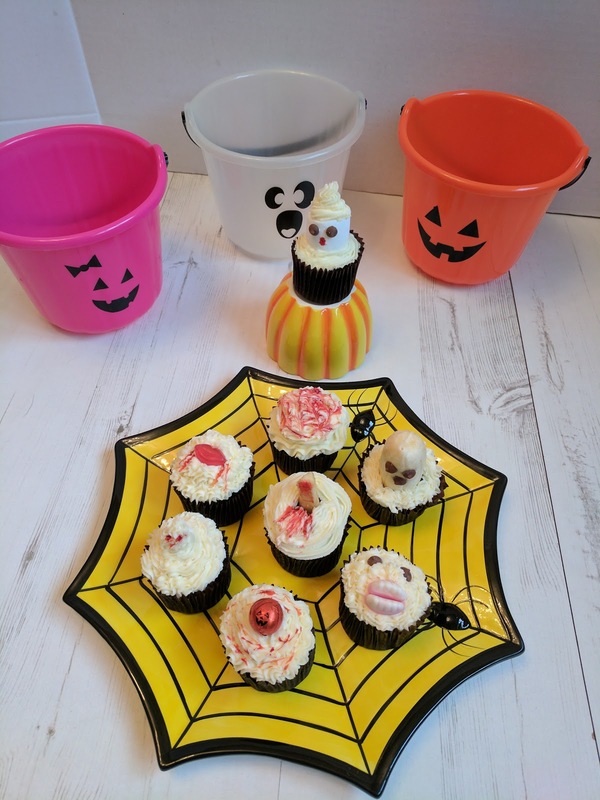 Ice the cupcake, scrawl over red food colouring with a cocktail stick and top with a pumpkin chocolate ball. 8 - Finally for the scary lips, ice the cupcake and top with a pair of gummy lips and using a cocktail stick dipped in red food colouring draw some blood dripping from each side of the lips. 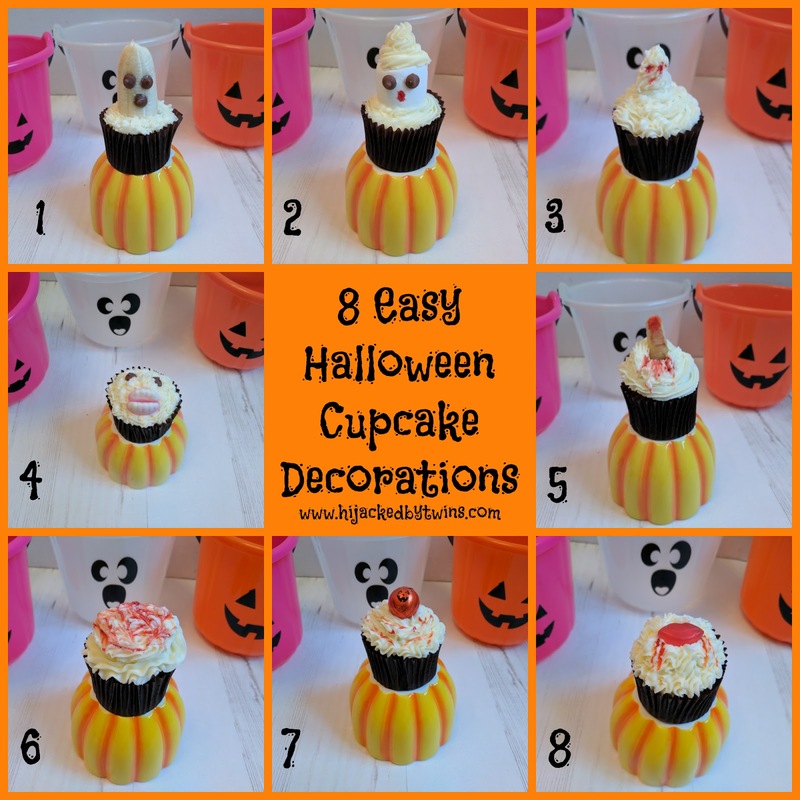 There you have it, 8 quick and easy Halloween cupcake decorations! 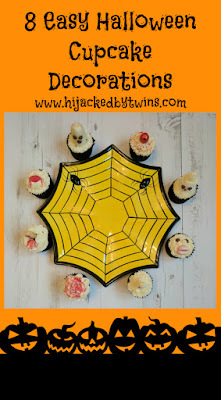 I also found this super spider place and bowl set at Aldi which was even reduced! What lovely, simple ideas. I love the spooky banana! Aw they're super cute! Hope you had a lovely Halloween! These look great, so creative! I hope you all enjoyed them and had a good Halloween!